Long-running Betel Box has been an equally long-running Travelfish.org favourite due to its eclectic location on Joo Chiat Road and old-school backpacker vibe. 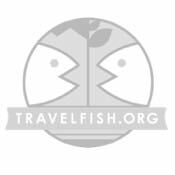 The owner, Tony, is a die-hard fan of the area the hostel is in and as such is an absolute fountain of knowledge. He also leads excellent food walking tours of the area. Guidebooks AND a pool table! Set about half way down Joo Chiat Road, Betel Box is about a 10-minute walk from either the East Coast Road (south) or Changi Road (north) ends of the street in a colourful area with plentiful Vietnamese restaurants, local grocery stores and beautiful shopfront housing. The area, particularly around the hostel, can get a little ropey at night, but it’s a refreshing change from some of the more staid parts of Singapore. The hostel is reached via a pin-code-access door up a stairwell lined with information on what is going on. The comprehensiveness of the information you’ll pass by here is indicative of the effort Tony puts in and his passion for the local area. 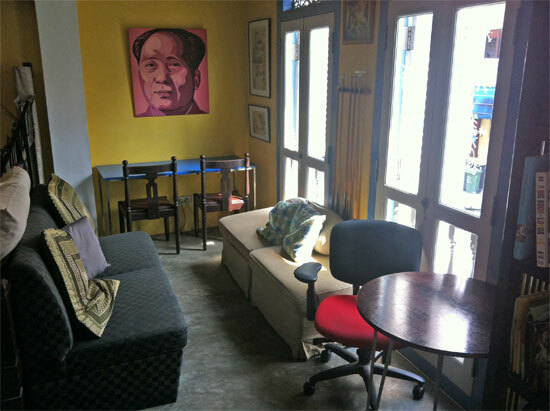 The hostel occupies the upper floors of the shopfront, with a large, homey common room sharing the area with reception and a dorm, with more dorms (mixed and female-only) and private rooms on the upper floors. Free time? We can fix that problem. The common area includes space to eat, a pool table, a large flatscreen TV with a seemingly limitless selection of movies and very fast WiFi with plenty of plugs and tables for those who’d rather surf Facebook than shoot pool. Snacks and cold, affordable beer is available for sale, and you can bury yourself in a mountain of travel guides and other travel literature. 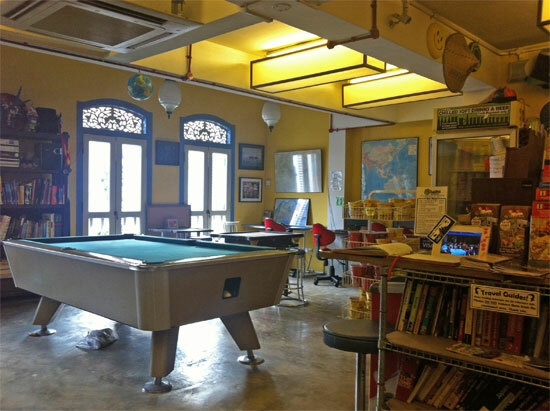 Along with the Green Kiwi in Kampong Glam, this was one of our two favourite hostel common areas. Tony does a great job are getting things going and as mentioned, a fabulous source of information. The dorms are oversized. While we’ve stayed in Betel Box many times, on this visit we stayed in the large dorm behind the common area. You could easily fit a ping pong table in the empty space and the metal framed bunks are comfortable. Lockers are supplied, though they’re only big enough for a daypack rather than a full pack. The bunk setup lacks the frills of some Singapore dorms — you won’t find bed lights and personal plugs here — but this is also one of the cheapest places we tried. No frills bunks but with plenty of spare space. Bathrooms are the one weak spot in what is otherwise an excellent hostel. 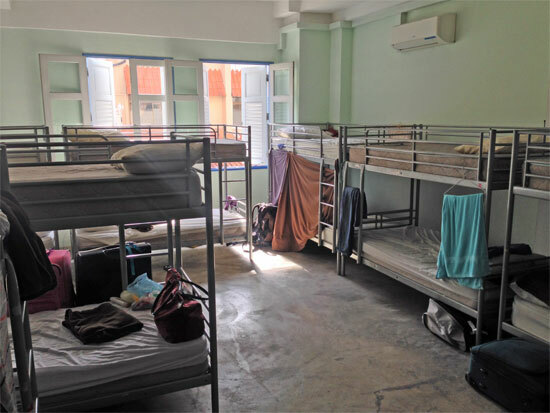 While passably clean enough, they really need a solid sandblasting to get them up to the exemplary standards of some of the other hostels in our top ten. They’re also just a bit rundown and in the mornings you may need to queue for a while, depending on how busy your dorm is. Betel Box’s location is a solid 20-minute walk to the closest SMRT station, Paya Lebar, but there are bus services that are considerably more convenient. You will need to use either buses or the SMRT to get to any of Singapore’s top shelf attractions as the only point within walking distance here is East Coast Park. But the whole point of staying here really is that Joo Chiat is an attraction in its own right. This is a historic area and you’ll be experiencing the “real deal” out here in a way that you won’t downtown. Hang out and watch life roll by. 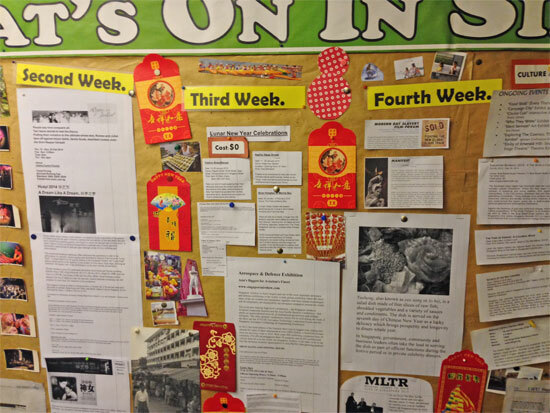 A last word: Tony leads food walking tours on the Joo Chiat area and they are completely worth the money. If you’re staying at Betel Box on a night when a tour is running, you’d be mad not to join in the fun — and the eating. Note that you can also do the tour if you are not staying here. Disclosure: We’ve stayed at Betel Box many times over the years and as a result Tony is a friend.